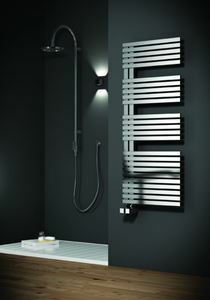 400mm wide and 1750mm high chrome curved heated towel rail with 496 Watt - 1693 BTU/h @ Delta 50. 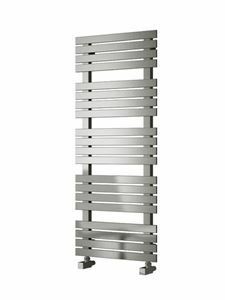 400mm wide and 1750mm high chrome flat heated towel rail with 492 Watt - 1680 BTU/h @ Delta 50. 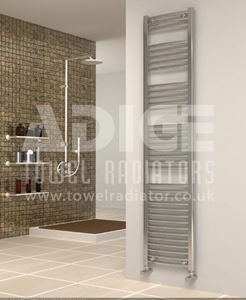 400mm wide and 1750mm high white curved heated towel rail with 628 Watt - 2143 BTU/h @ Delta 50. 400mm wide and 1750mm high white flat heated towel rail with 623 Watt - 2126 BTU/h @ Delta 50. 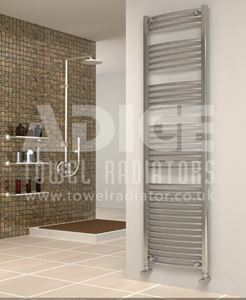 600mm wide and 1750mm high chrome curved heated towel rail with 693 Watt - 2365 BTU/h @ Delta 50. 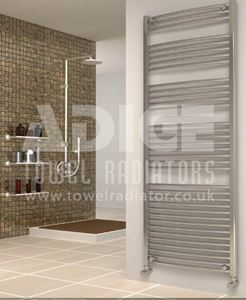 600mm wide and 1750mm high chrome flat heated towel rail with 689 Watt - 2351 BTU/h @ Delta 50. 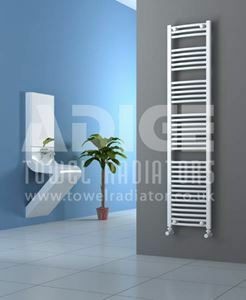 600mm wide and 1750mm high white flat heated towel rail with 872 Watt - 2977 BTU/h @ Delta 50.